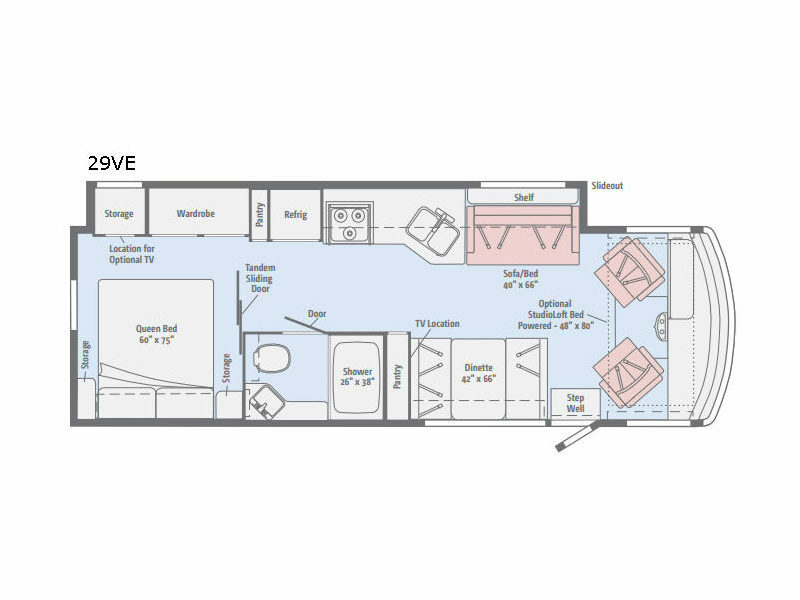 The Winnebago Sunstar Class A gas motorhome continues to bring you a big coach with big value! 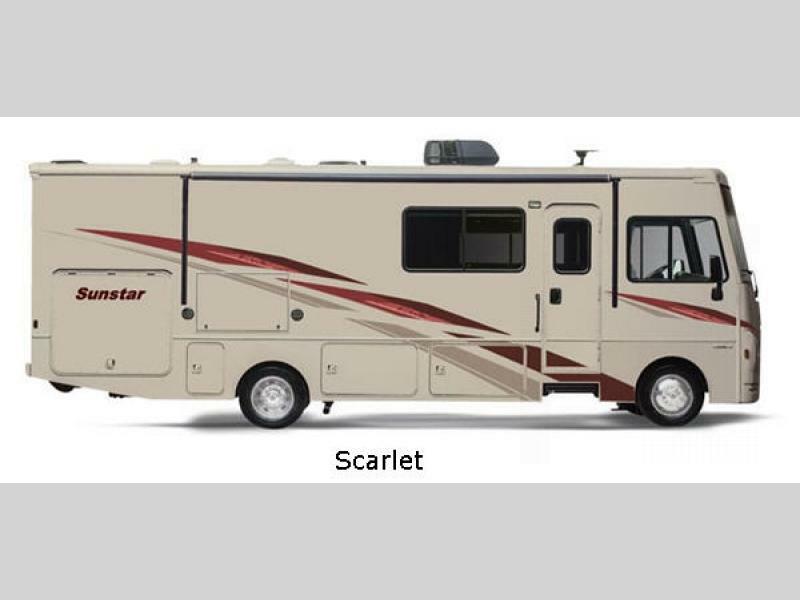 Filled with quality standards, the Sunstar continues to be a very affordable RV and is the perfect coach for families or couples who enjoy the ability to travel at a moment's notice. 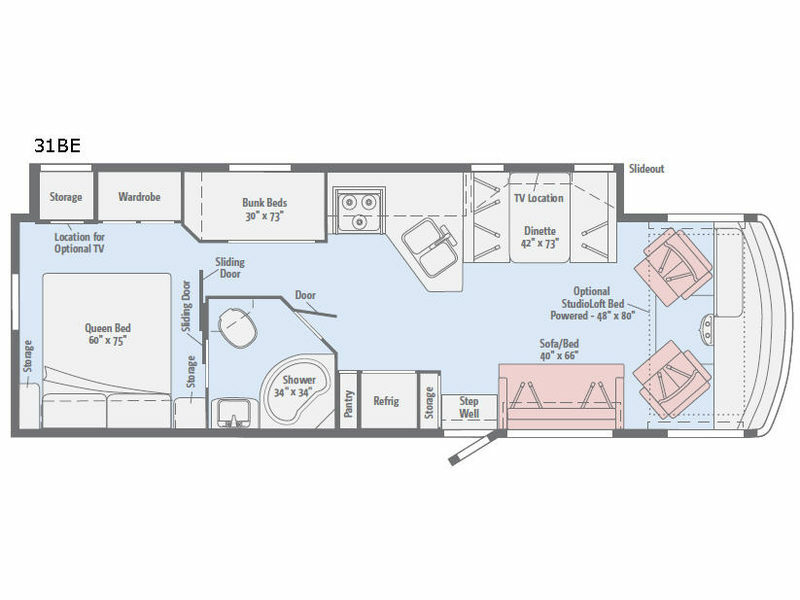 The Sunstar brings you a variety of very functional floor plans to choose and ranges from approximately 28' to 33'. 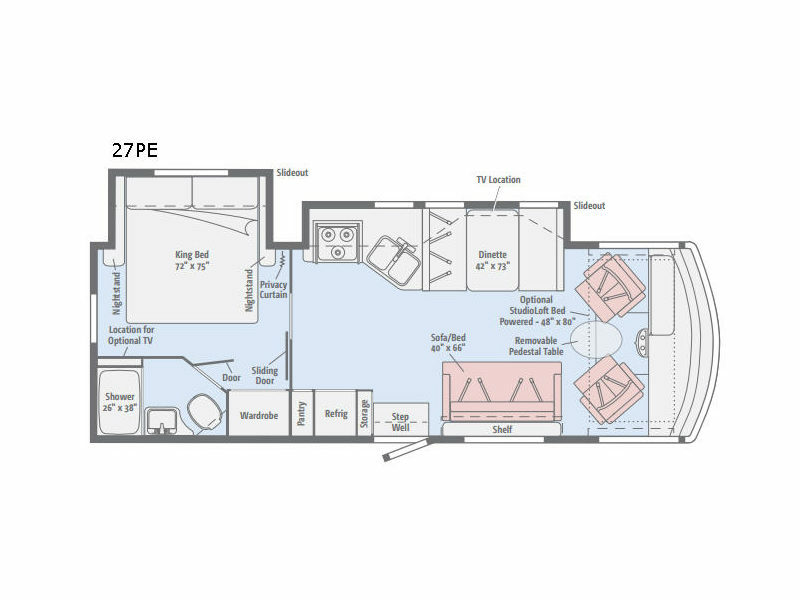 This means that you will definitely find a model to fit your family's on-the-go lifestyle. 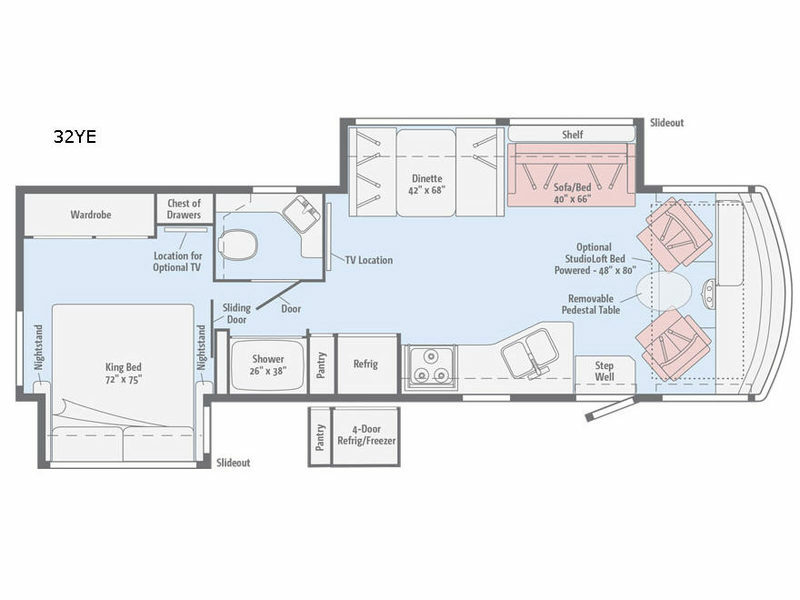 You will enjoy refined features like the MCD roller shades for privacy, LED lighting to brighten up the atmosphere, and a 40" HDTV for late-night movie watching. 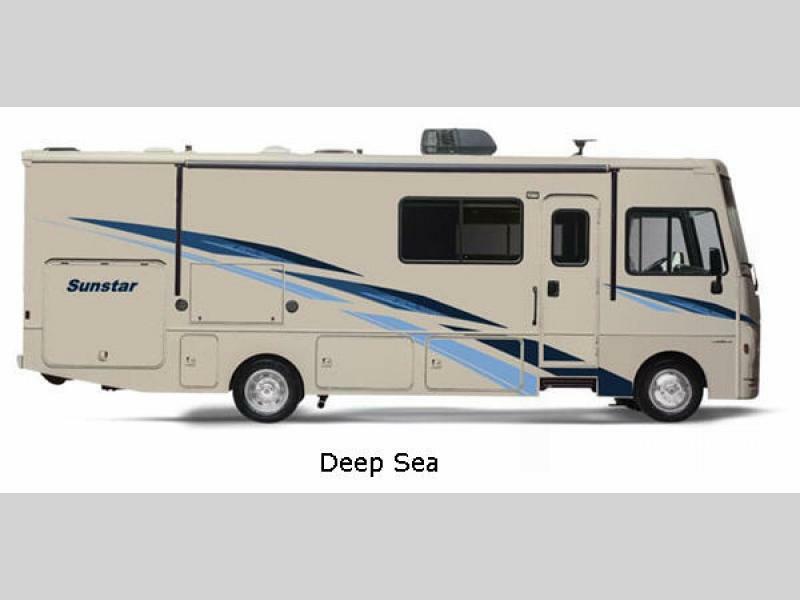 So if you're looking for an RV that will take you on great adventures and will come at a price you can afford, look no further than these Winnebago Sunstar Class A gas motorhomes!